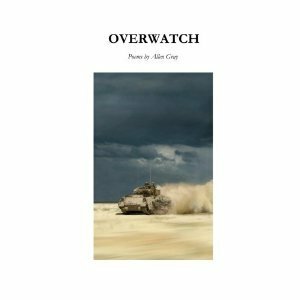 “Allen Gray’s Overwatch depicts war as we’re not used to seeing it–from the soldier’s eye, from someone who experienced it, from letters and dreams and the ghosts who watch over their buddies. These poems show that war, anywhere, is still war, that the hardships faced in one war aren’t so different from the hardships faced in another.” –Liz N. Clift, Poet & Former Managing Editor of Flyway: Journal Writing & Environment. Review: I know the author Allen Gray from a website called Scribophile. It’s a place that writers can join and share their works in progress and receive various feedback. 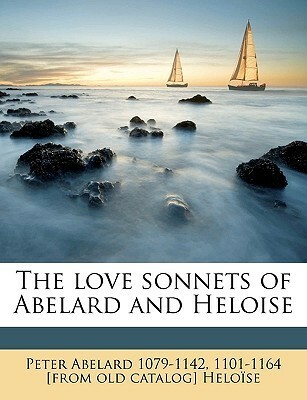 I’ve had the pleasure of reading and reviewing several pieces of Allen’s writing in the past and delighted to review his first collection of poetry. How shall I summarize this poetry collection? The over arcing theme is war. It’s about the soldiers who join up with our military forces with the command to Protect and Serve. It’s about the families of the soldiers. It’s about the events of war and the everyday situations that soldiers live in. Every day isn’t about explosions and death but those elements color everything. It’s about coming back home and finding out how alien home has become. If home has become alien, does that mean you’re alien to it all as well? Does that mean you only belong in the ashes and frames of what you have left behind? And if you don’t want to go back there, are your memories the only reality you have left to hold? Titles always matter. They’re very important part of a story or book in all formats. In poetry, titles take on an added depth that isn’t as apparent or present in other writing. Sometimes, the title of a poem is the only clue to tie in the disjointed words and images that is in the piece. This proves to be true in many of the poems that are in Overwatch but it doesn’t always help. There are a handful that leaves me wondering and questioning what it’s about. I’m lucky. Why? Because if the questions drive me TOO crazy, I can always turn to Allen and ask him for clarification or an answer. You may find this review a bit disorganized and hard to understand. I apologize if that becomes the case but it’s hard to write a review about this collection without writing massive words on each piece. Instead of an in-depth review, the following is a list of poems that called a strong response out of me and maybe a clue to what that response was or the questions that lined my mind’s eye. Poem Desert Poem – Great imagery, stark. Some parts, it seemed like you could feel it. My favorite are the stand alone lines. Each stanza is a build up to make that one line shine. I read the stanzas without the solo lines. I read the solo lines without the stanzas. Neither approach is as powerful as reading them together as one. A Soldier Severs the String – What a CRAPPY image that blossoms into my mind as I read the words that strike an insidious sorrow across my heart. Who can be okay with a wasteful death? You don’t need talk about blood to know the bone shattering blood splatter caused by pointing a barrel up against your jaw. Red Sunflower – An inarticulate and vivid reminder of death. Life Begins – Ordinary images and words that call my own memories of cooking to the forefront. The crackle-sizzle of oil can sound like a dance. Once that oil splats on you, YOU are doing a dance! There’s a joy to cooking, a danger to the process and at it’s very core a fundamental part of living. Everyone has to eat. Not Everyman – Heartbreaking. You can leave a war or fight but it may not leave you. The memories can be more alive than life moving around you. What happens when no one can break through the memories? After the Shock – When does the line become clear? The child standing in front of you and talking to you or the memory of bodies filling plastic bags and the jagged line of death? Panic – A horrible nightmare is what this passage screams out at me. Question remains: Does the nightmare stop when you wake up? You are There – Memories steal time away from the present and throttles you back in the past. It’s only with conscious effort that you can remember that you are HERE rather than there. The Counter at the Gate – Terror doesn’t occur just at night, in the darkness. Terror can happen in the daylight, by your driveway, in your neighborhood and to anyone, including children. People forget that the every day can be the dangerous day. Yet if you lived in terror of each day, what kind of life would you have left in place? Awake Now – Discordant images and actions piled together in a hill of emotions and images that don’t aligned nicely against one another. However, each reading of the different pieces brings an inelegant order to the mess and causes lines to connect where there was only confusion before. A Cardinal Teaches at the Abbey – Quick but poignant descriptions of nature. “What does the cardinal teach?” is the question left unanswered for me. 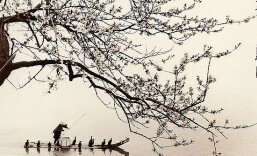 When people think about conflict and war, they don’t necessarily think about the silence, the down time and the waiting. The minutes that pass on duty while nothing happens and yet you’re suppose to be super vigilant in case something, anything does occur. People may forget that families travel into these dangerous areas and there are people with children and lives living over there in the middle of war. I’m sure it’s strange to think that waking up in the bed of your room, in your house, can be strange. That it can be disorienting to put on regular clothes, fix pancakes for breakfast and to only worry about what your child needs for the day. Playing catch, buying groceries, going to a baseball game and seeing a movie are all normal things. But what’s normal to a person who hasn’t had those bits be a part of their life for a long time? What’s normal when you’re conditioned to react to high tension scenarios? If you haven’t wondered that before, maybe you will once you read Overwatch. This is a powerful collection of poems that directs the reader to think about the every day in a different light. It’s about showing you the inside fears and thoughts of soldiers who have experienced more than we’ll ever know. By no means is this book a light read. It’s dark, painfully colorful, touching and thought provoking. I recommend this to anyone who has a family member in the military, who is a soldier, studies war or would like a peek into what veterans may think, fear and face. For more about the author, you can read my Author Interview with Allen Gray on SSV. Description: This is a reproduction of a book published before 1923. This book may have occasional imperfections such as missing or blurred pages, poor pictures, errant marks, etc. that were either part of the original artifact, or were introduced by the scanning process. We believe this work is culturally important, and despite the imperfections, have elected to bring it back into print as part of our continuing commitment to the preservation of printed works worldwide. We appreciate your understanding of the imperfections in the preservation process, and hope you enjoy this valuable book. Review: From a preservation standpoint, I agree that it’s very important to keep old work alive. The illustrative work deserves 3 stars at least! On a personal note, this is one of the most amateur, poetic pieces I’ve read in a long time. It goes to show that you can write something rather trite and have it published no matter the time. The whole thing sounds like teenage angst fighting a losing battle with lust and infatuation. Never mind that it’s a love affair between an older man and a young woman. Another adventure into the classics completed.